Good evening! 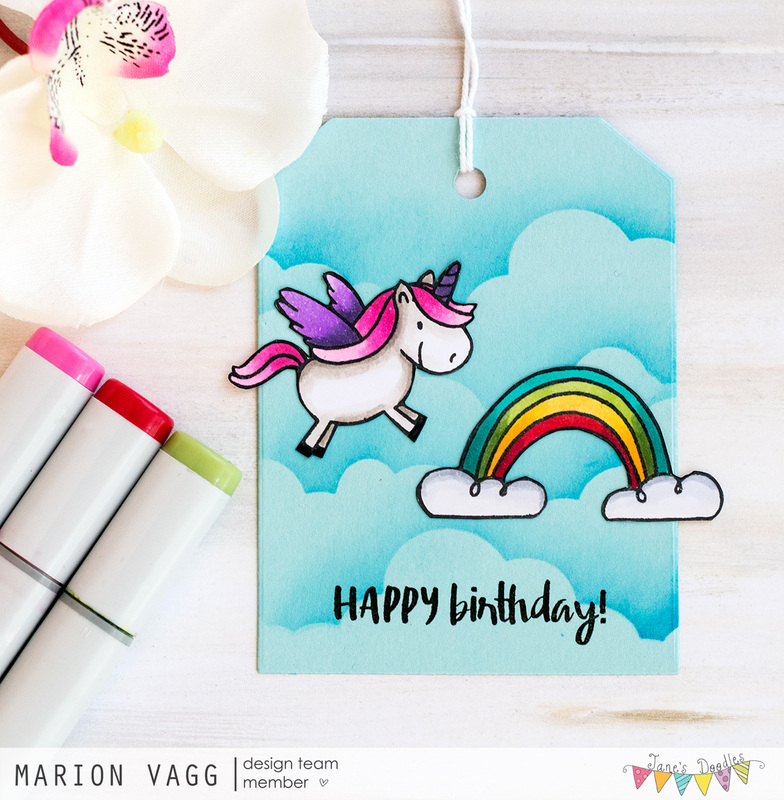 Today I am over on the Jane’s Doodle blog using one of Jane’s latest sets called Belated Birthday. I just love me a turtle and this set also has some great snails as well. The background is quite textured. I found it in my craft pile of unfinished projects (that pile is quite big mind you!) 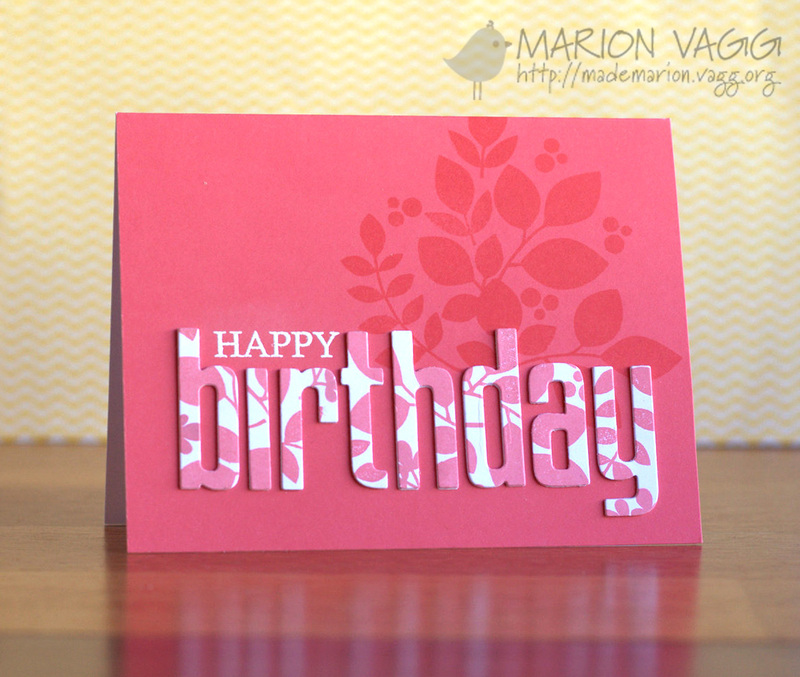 and it was made with some texture paste coloured with distress ink and a stencil from MFT. I have no idea which colour of Distress ink I used though! I have covered the cake and party hat with some clear Wink of Stella, but it doesn’t show up very well in the photo. This tag is off to my Dad as it was his birthday last week – and I’m a bit late in getting it to him. Ink: Memento Tuxedo Black ink, Distress ink ?? 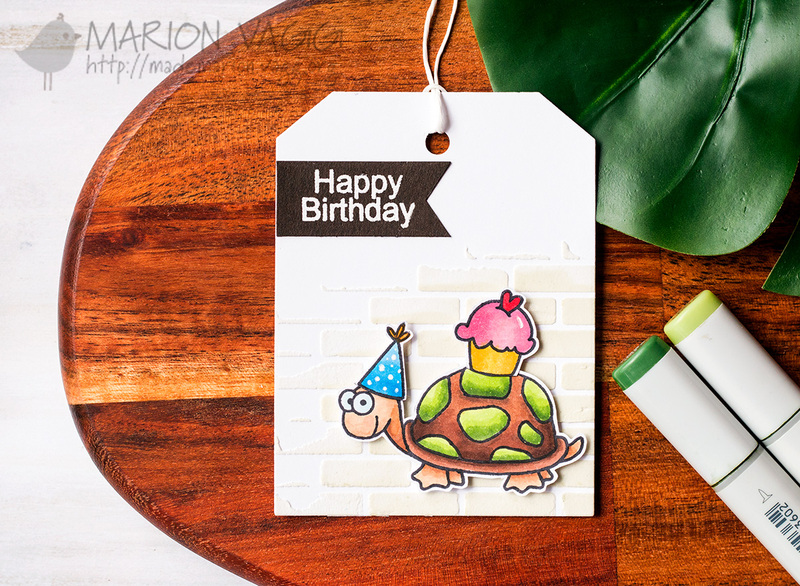 I was really inspired by Laurie Willison’s card in the online card class Online Card Class – Stretch Your Stamps 2, on Day 10. Laurie’s clean and simple design really appealed to me, so I thought I would give it a try. My hubby’s comment was ‘that’s a classy card’, so it has the thumbs up from him too. Thanks for your inspiration Laurie. 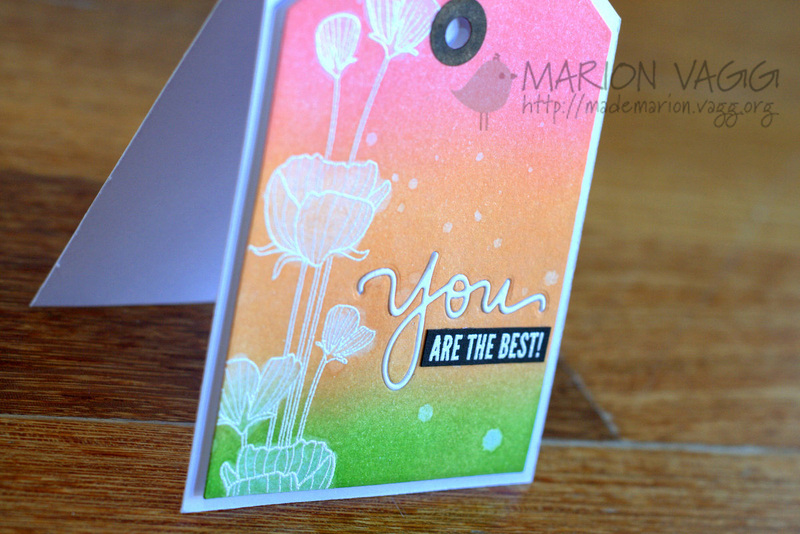 I used the Paper Smooches Reflections stamp set. And while I had the same stamp set out, I thought I would do a slightly different version. The sentiment is white card stock covered with the clear Wink of Stella glitter brush pen then I covered the whole thing in Glossy Accents. 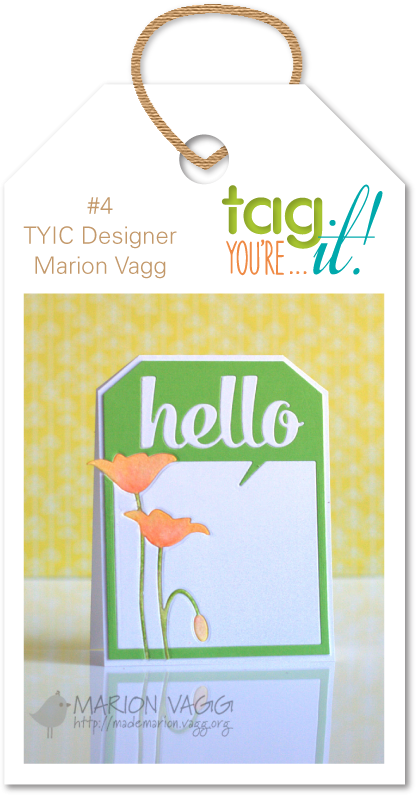 It has been fabulous to see the huge participation in the Tag You’re It! Challenge. Keep them rolling in! 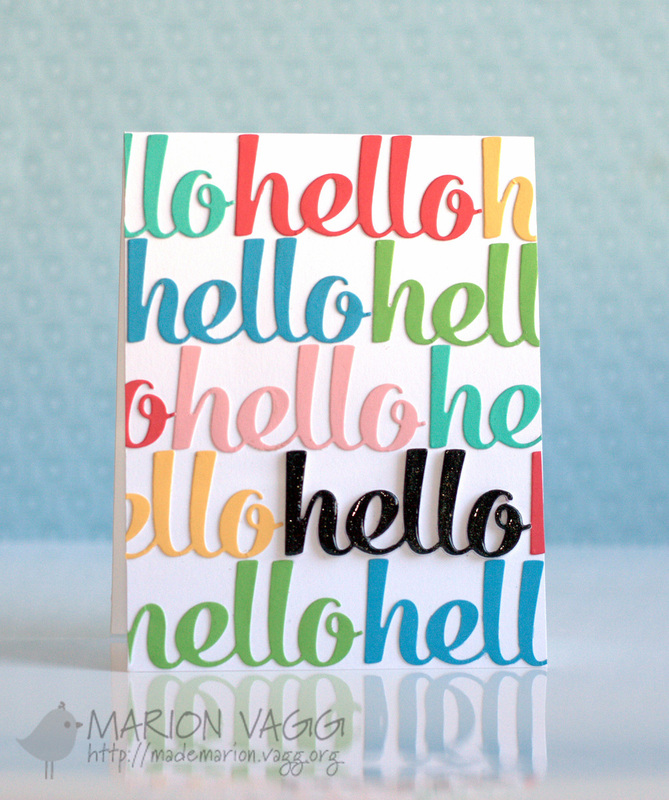 This week is a little different for me – as I got to be inspired by my own card! I’ve never done this before, but I found it quite fun! 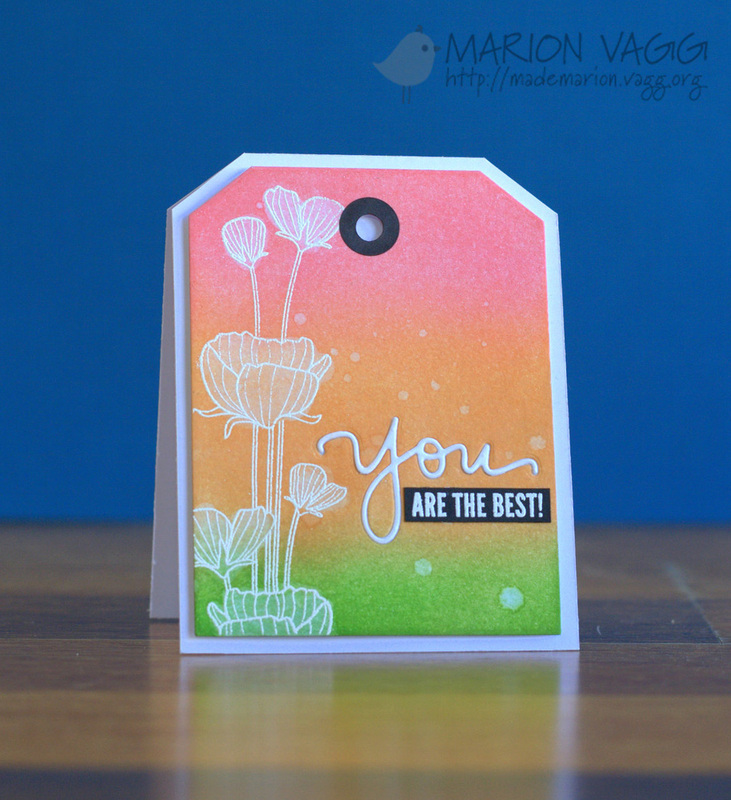 I white heat embossed the flowers then inked heavily with Distress Inks. Using a cotton bud dipped in water, I went over the flowers to reactivate the ink before dabbing it away with a tissue – removing the colour. Genius! I love the result. For more details on the challenge and the guidelines, go here. Hope you can find some time to play along. 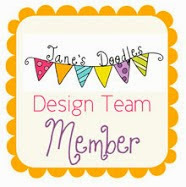 To link up your creations head to the Tag You’re It! Challenge blog. We had a massive response to the first Tag You’re It! Challenge. 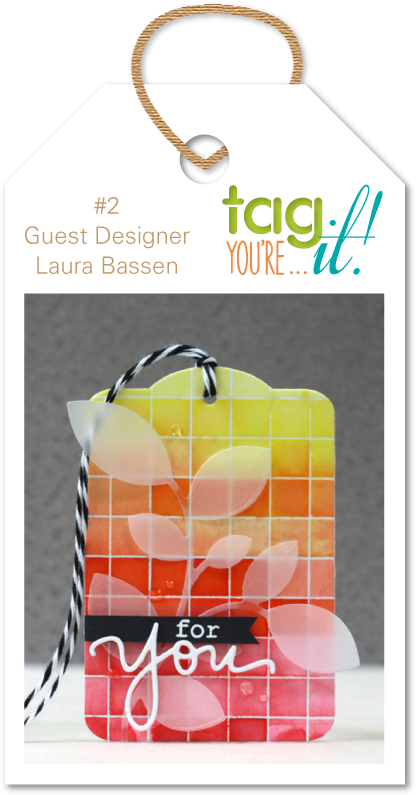 What’s more, you are in for another treat, as our guest designer for Challenge #2 is one of my all-time-favourite card makers – Laura Bassen! And what a beauty it is as well. 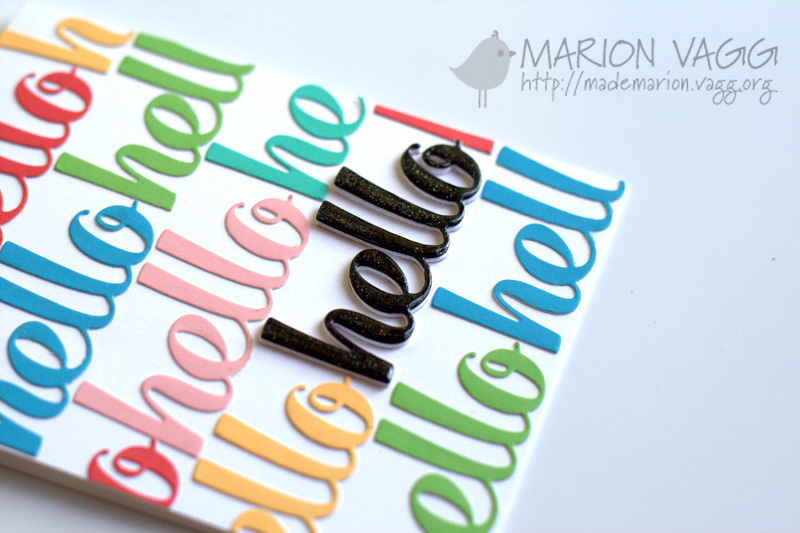 I took some of the elements from Laura’s tag – the leaves, the die cut and the colour. 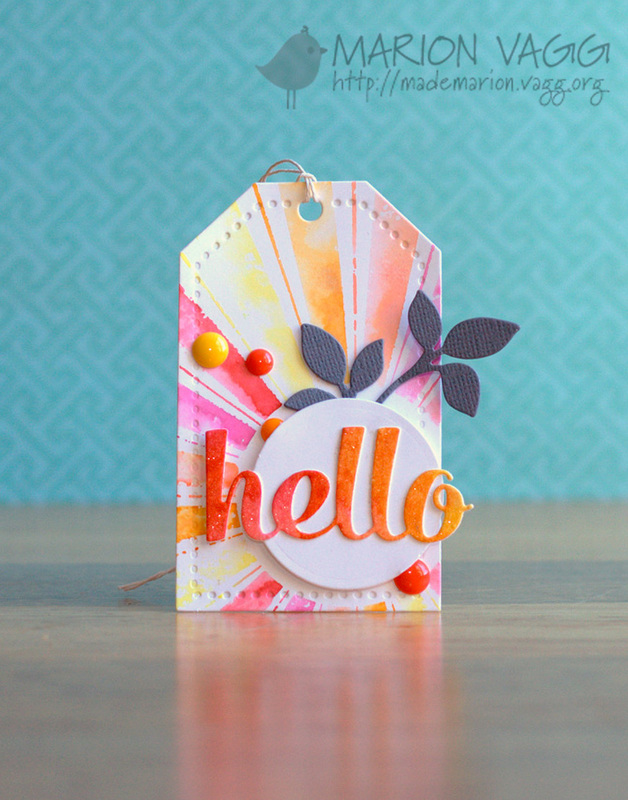 To create the multicoloured sunburst background, I used Distress markers and coloured each ray individually and then spritzed lightly with water before stamping. 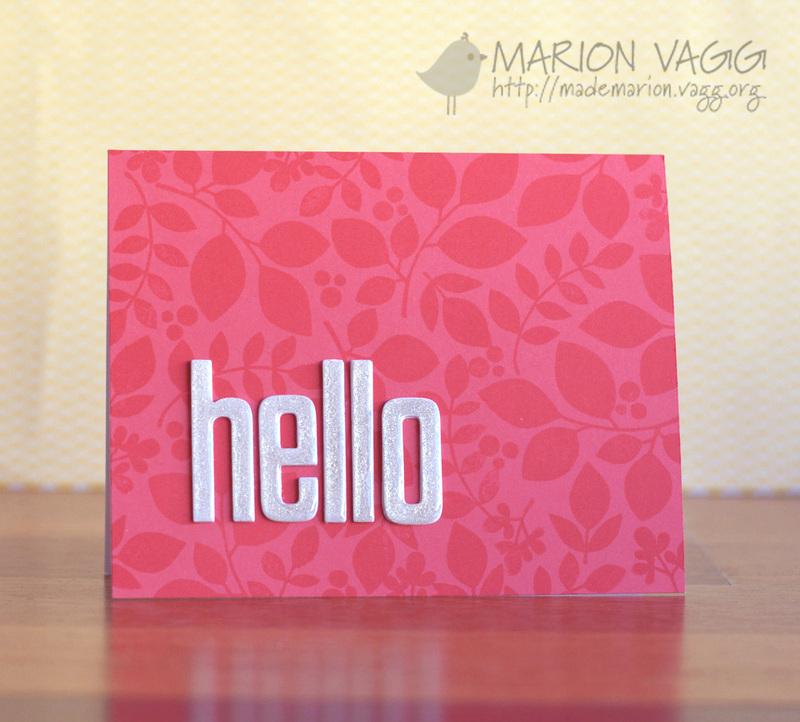 A big hello from me this week for the Muse Card Club. 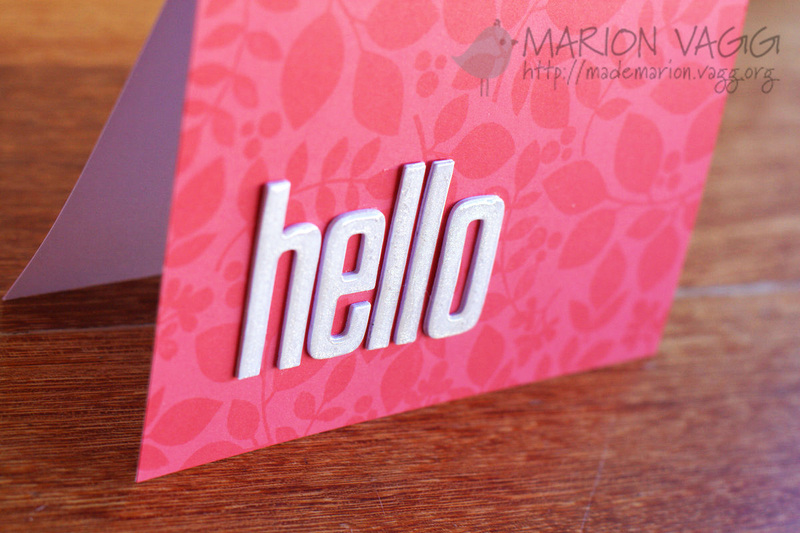 I recently purchased the Paper Smooches Quote Tag die and I simply love the ‘hello’ word die. I die cut it multiple times from various Hero Arts layering papers and simply adhered them to a white card base. To make the black word pop, I stacked up 5 die cuts, then covered the top one in the clear Wink of Stella glitter brush pen before coating it with Glossy Accents. Here are some of the guidelines if you are unfamiliar with how Muse works. Provide supportive comments to at least 3 of your fellow member’s submissions. Vote for 3 of your fellow member’s submissions that you find inspiring, once voting opens. For the full challenge guidelines go here.